This comment is based on Anson Lim’s Dissertation, Export Intermediaries within The Modernized Structure of E-Commerce and The Prevalence of Internet Based Distribution Channels,written under the supervision of Prof. Michael Czinkota at the University of Birmingham, UK. Given the broad spectrum of online capabilities, assuming the combined roles of distributor and intermediary within the scope of a developing marketplace will enhance the exposure of intermediaries as well as ensure that profitability is aligned with long term exporter objectives. Motivational structures have offered incentives to intermediaries for their successes in foreign market though an increased capitalization and opportunity for contract preservation. The reality is that within the broadening online marketplace, these once outside participants may now integrate their services with distribution channels at a much lower cost incidence than setting up a brick and mortar establishment. As export intermediaries are active participants in the social and economic structure of Malaysia, their understanding of market operations gives them an inside advantage, one which enables rapid transitioning from middle-man to purveyor. The manufacturing relationship is contractually established; however, through integration of broader spectrum distribution channels, the intermediary firm will be protecting their investment and ensuring that products reach the consumers in a profitable manner. In terms of technical service diversification as well as the incorporation of resource management techniques, the knowledge capital boasted by intermediary firms remains a leveragable asset, one which should be intimately integrated into operations offerings in the future. Such capabilities include consolidation services which reduce the overall cost of transport and distribution across Malaysia’s borders. 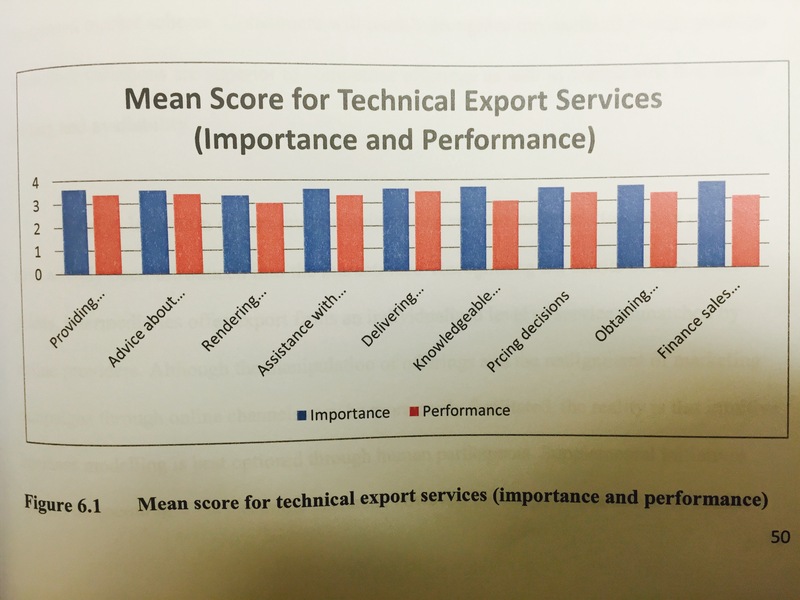 Secondly, research demonstrates that in spite of the emphasis which manufacturing firms place on technical expertise and knowledge capacities of intermediaries, practical application of such skill sets falls short of expectation. the expectation o f authority, and thereby, the transitioning skills which enhance the perception of intermediary value continue to challenge and evolution of skill and capacity in order to accurately integrate the broad spectrum of changes which continues to alter Malaysia’s market. knowledge of tariff changes, pricing decisions a=, and technical support all fell within the lowest ratings among respondent intermediaries, and given the ease of transition from brick and mortar distribution to electronic online channels. these knowledge schemes offer opportunities to remain extremely competitive. Literary analysis has demonstrated that researchers have adapted to include both internet and conventional operations within the scope of intermediary responsibilities. From this perspective, the nature of intermediary functions within the scope of international relationships continues to evolve to match the evolution of manufacturer initiatives. Given the prevalence of internet users throughout the globe, the remarkable nature of internet use increases in Malaysia over the past decades, internet resources are essential to ensuring competitive marketplace expansion through foreign exports. Summarily, Malaysian intermediaries highlight the improved performance that internet services have enacted within their organizations; therefore, the support structure continuous to be implemented, the future of commerce hinging on its effective manipulation. One method of competition with the coming Malaysian internet boon is to establish marketing footholds within popular social networking sites and online forums in order to further the distribution of manufacturer products. Online distribution channels are one mode of enhancing usability, and in addition, the communicative nature of such resources will enhance the manufacturer offering among consumers. Allowing niche marketing to function within a participative capacity, consumers should be encouraged to review products, retrieve cost savings via promotions, and explore options for customization. As the online community continues to dictate what is a successful product in the scope of Malaysian commerce, the evolution of manufacturer offerings will come as a direct result of intermediary communication. Similarly, the role of the intermediary must adjust to met the demands of these participants, ensuring that long term brand recognition and loyalty schemes are effectively integrated along the most popular channels. The method behind this strategy is one which dramatically alters the responsibilities of intermediary operation; however, the leveraged knowledge capital and foundation of foreign business networks remains stable and necessitated. Stay tuned for more implications and recommendations.